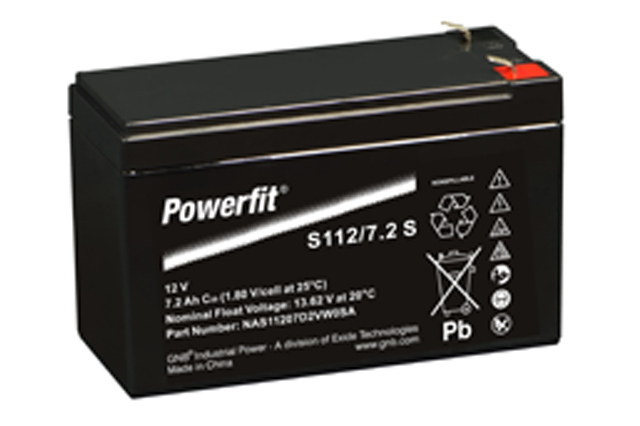 The Exide Powerfit S112/7.2S is a great all round, general application lead acid battery for those looking for a reliable power source that can be used in a very wide selection of applications. A fully rechargeable battery, the S112/7.2S is built to the universal 12V 7Ah box size, meaning it is suitable to replace all SLA batteries built to this power rating to present a versatile, yet affordable option. The Exide Powerfit series have been designed in accordance with IEC l0896-21/22 standards, and offers many benefits including a non spillable fully sealed construction, low gas emission achieved by excellent recombination and maximum performance efficiency, very low self discharge and offers reliable AGM technology for proven long term performance. All this as well as being a completely recyclable battery product. To discuss the Exide Powerfit catalogue as well as our wide range of additional products, make sure you call Blue Box Batteries today. As fully approved sales distribution partners for all major industrial battery manufacturers, no other company is better placed to offer a more complete service and pricing package. Our team are on standby to help. 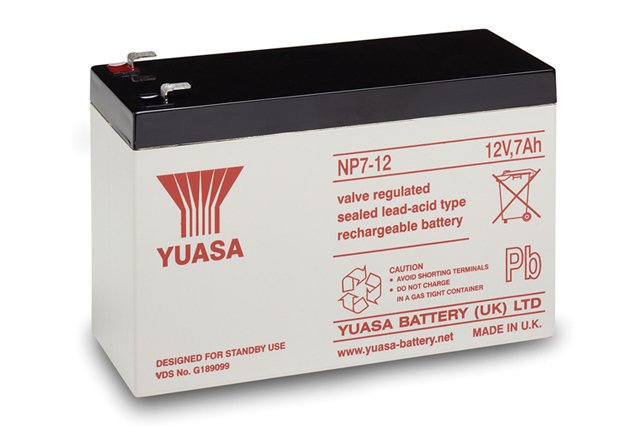 Rechargeable VRLA battery using AGM technology. Design Perfect combination of energy storage performance and reliability. Maintenance Free No ‘topping up’ required during entire service life. What is the terminal type of this battery? The terminal type of this model is a 4.8mm wide faston tab, also known as an F1 faston tab which offers a simple ’slide on, slide off’ connection. 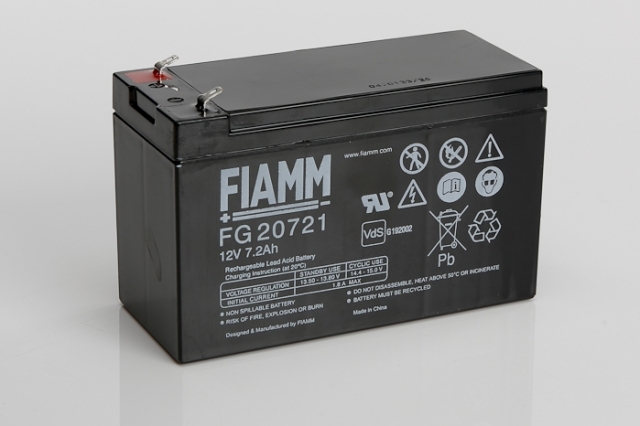 For those looking for the 6.3mm wide version, also known as an F2 faston tab which are often found in high discharge applications such as UPS, we recommend looking at the S112/7.2SR which offers this terminal type. Please see the link below or call us on 02381 789197 to discuss.